In a series of interviews with Russian media houses earlier this week during his current tour of four Eurasian nations, the Head of State and Government also explained Zimbabwe’s Engagement and Re-Engagement Policy. The President has already been to Russia, where he held fruitful talks with President Vladimir Putin, and yesterday he discussed economic co-operation with President Alexander Lukashenko in Minsk, Belarus. Thereafter, President Mnangagwa will hold talks with President Nursultan Nazarbayev (Kazakhstan) and President Ilham Aliyev (Azerbaijan), after which he heads to Davos, Switzerland for the World Economic Forum. The engagements are designed to strengthen economic co-operation and attract investment as President Mnangagwa steers Zimbabwe towards middle-income status by 2030. However, critics of the President have sought to belittle the engagements, insinuating that he would be better off courting Western countries – some of whom maintain economic sanctions on Zimbabwe because of Harare’s fast-track land reform programme. 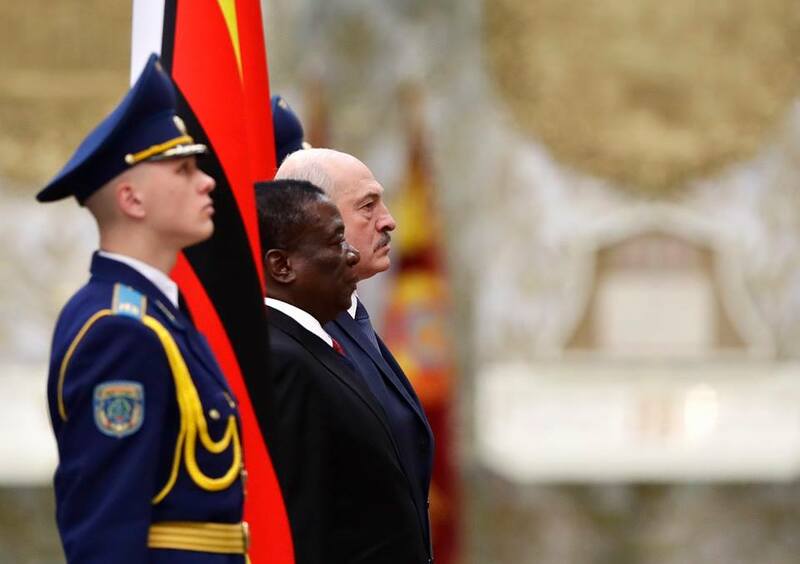 In one interview in Russia, President Mnangagwa said, “Zimbabwe is a sovereign state; we make decisions on the basis of national interests as well as the interests of those who are friendly to us. “In regard to the Russian Federation, there is a history of co-operation prior to our Independence and post-Independence, and we have stood together … So there is no cause for us to depart from that stance. “The question of deepening our relations is not prompted by the sanctions imposed on us by those who do not like us. We consolidate and deepen our relations on the basis of our interests as two sovereign states. “Those who have put sanctions on us, they best know why they have sanctions on us. As Zimbabwe we carried out our land reform which was the basis of our revolution leading to us gaining our Independence in 1980. “And we fulfilled the grievances of our people by implementing the land reform. In another interview, the President was asked about US national security advisor Mr John Bolton’s recently unveiled new Africa Strategy, which analysts have said is largely about trying to counter China’s economic co-operation with the continent. “I’m sure Mr Bolton pronounced the policy in the American interest, we pronounce our foreign policy in the Zimbabwean interest. We don’t look at American interests to determine our policy. We determine our policy on the national interest of Zimbabwe, and that is what is going to guide us on whatever issue. Zimbabwe’s leader dismissed speculative reports that Zimbabwe was on an arms shopping spree, pointing out that his number one priority was economic development. “But down the line as Zimbabwe becomes stronger in terms of its economic muscle, we should be able to buy the type of hardware which we know the Russian Federation has and which we require. “But we are not in a hurry. Our priority is now to develop our economy in terms of modernising and mechanising. And speaking to the editor-in-chief of Tass new agency, Mikhail Gusman, President Mnangagwa said he was dedicating up to 95 percent of his time to affairs of State, leaving very little time for his family. He said he had never hoped to be President of the Republic, but rather that the ruling Zanu-PF and the legislature – guided by the party constitution and the national Constitution respectively – had deployed him to that role, and he had subsequently won an election to secure a five-year term.